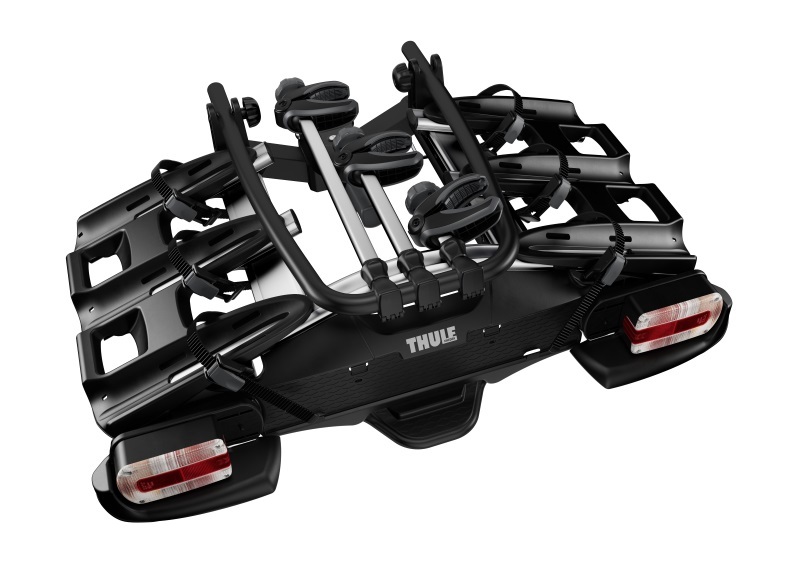 Thule's most compact and lightweight tow bar mounted car bike rack for carrying 3 bikes, or 4 bikes with an additional adapter. A range of bike sizes will fit on the carrier thanks to the adjustable width wheel trays. Bikes are securely held in place using detachable arms with rubber coated clamps to protect the bike frame. The wheels sit in adjustable wheel trays and strapped in place using ratchet wheel straps. 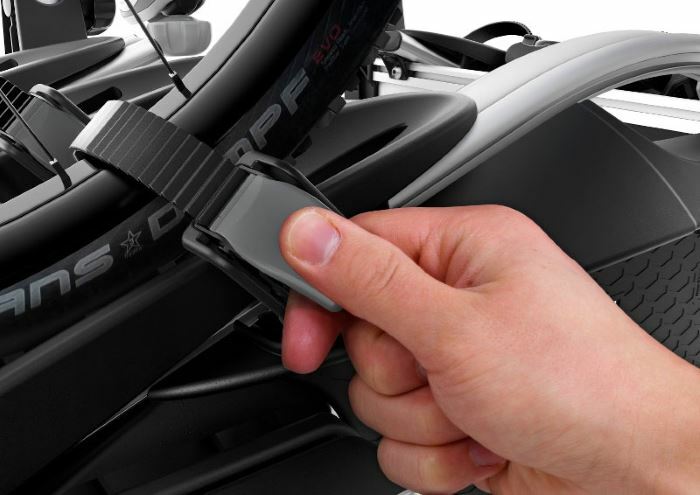 The detachable arms allow you to position the bike in place and then attach the arm to the carrier and bike. 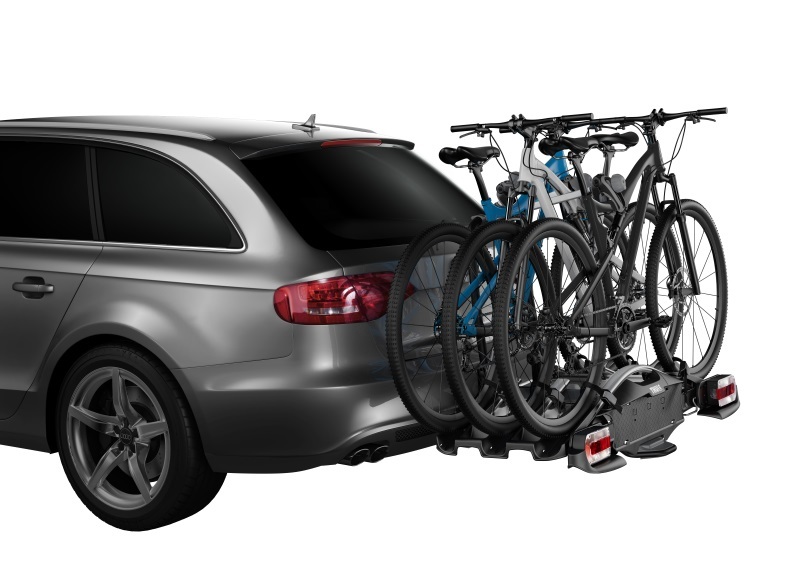 The Thule VeloCompact 3 locks to the car towbar and the bikes are locked in place onto the carrier for theft security. As standard the VeloCompact 3 927 can carry 3 bikes, this can be increased to 4 bikes with the 9261 4th bike adapter. Note: 15kg is the maximum bike weight for use with the 926100 4th bike adapter. 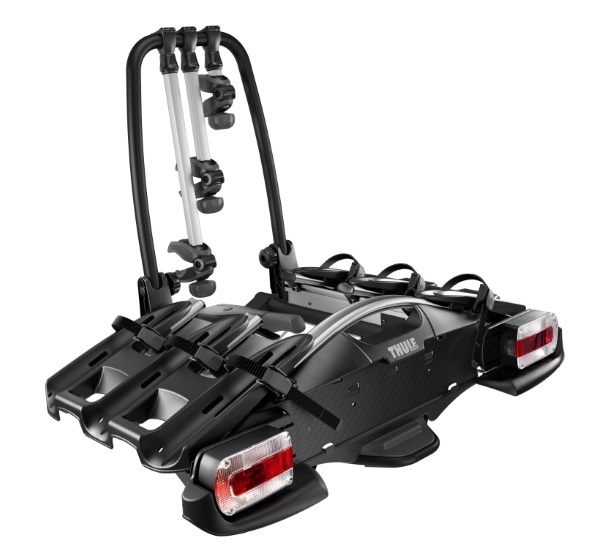 This bike carrier is compatible with cars fitted with a rear mounted spare wheel providing you use the Spare Wheel Adapter 9241. Note you will lose 1 bike space reducing the capacity for the VeloCompact 927 to 2 bikes only or 3 if used with the 4th Bike Adapter 9261. 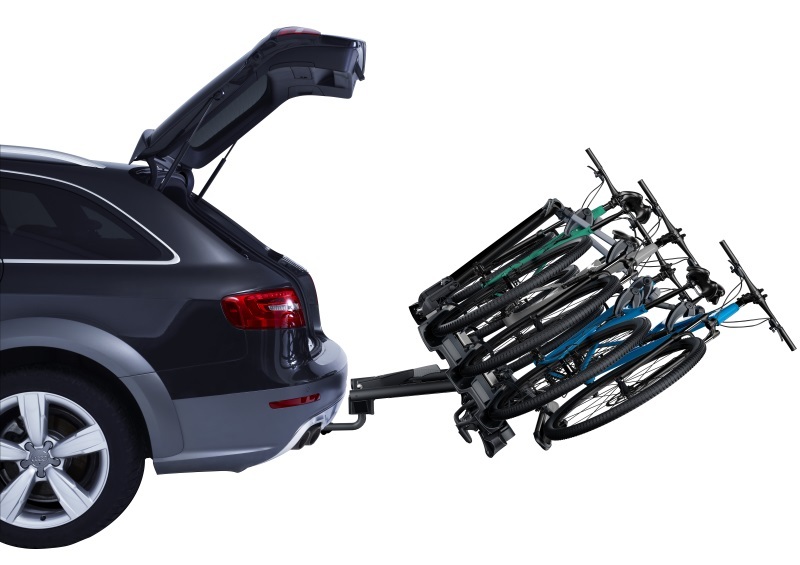 3 bike capacity as standard, increase to 4 bikes by adding a 4th bike adapter. Simple to fold flat and store – fits inside most car boots. 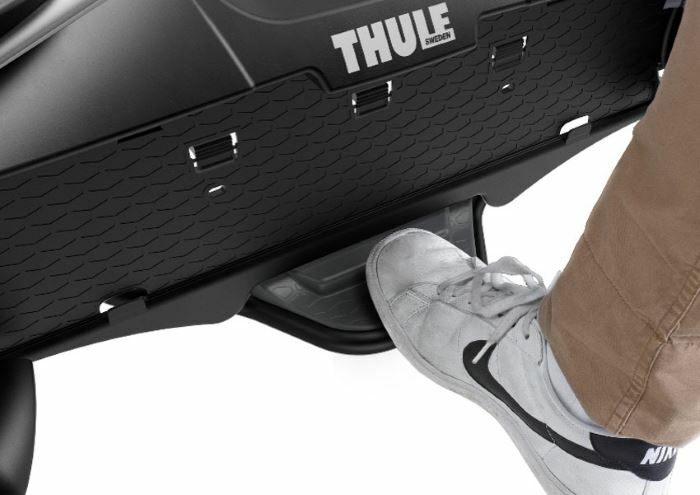 * IMPORTANT NOTE - Video may not show the current model for the Thule VeloCompact 3 927. We offer a delivery service for the Thule VeloCompact 3 927 throughout the UK & Ireland to home and work addresses. 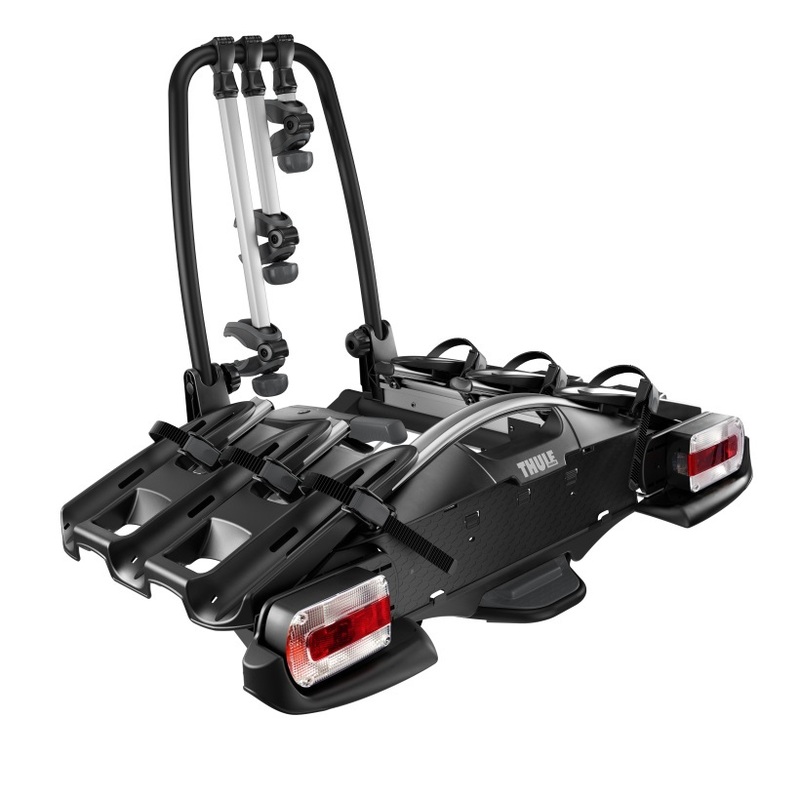 Buy a Thule VeloCompact 3 927 online from our website and collect from one of our nationwide branches.